The ruins of the mythical Bobastro Fortress are located in the Ardales District, the area known as Mesa de Villaverde. That is where Omar ibn Hafsun, a rebel descendant of the Muslin Visigoths (Spanish Christians converted to Islam) built an impenetrable fortress for the Omeyas troops, Córdoba reigning dynasty, which he fought against in 880 and 919. Bobastro is Malaga’s most important cave complex from the Ninth Century. The remains of a Mozarbic stony church, destroyed by Abd al-Rahman III, are located just a few meters away from what used to be the fortress. The church was destroyed after taking total control of the enclave and the defeating of Omar ibn Hafsun’s successors. The presence of a Christian church is explained by the evangelization of ibn Hafsun, which contributed to his defeat by losing the support of many of his followers. During the Iberian Islamic ruling, the Mozarb (Christians leaving in Muslim territory) were not allowed to build new temples. Cave churches were a way to mock this prohibition. 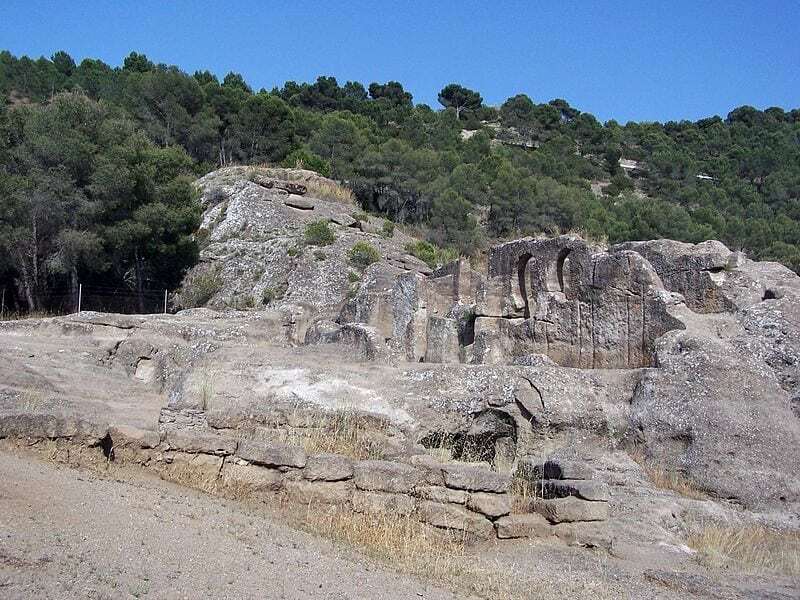 Rafael Puertas Tricas, former Curator of the Fine Arts and Archaeological Museum, has investigated for decades by excavating the surroundings of the temple and came up with the conclusion that an adjoining monastery had existed. Omar ibn Hafsun‘s figure sets a cultural tourism journey. 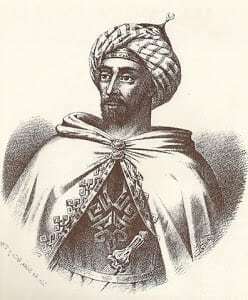 Omar ibn Hafsun was part of the most important riot which Cordoba’s emirate had to fight against at the end of the Ninth Century and beginning of the Tenth. Parauta is most certainly Omar’s place of birth, descendant of a Visigoth family converted to Islam (Muslims). Evidence of the importance of his family to the area is the fact that one of his father’s brothers provided twice a group of forty armed men. A fight resulting in death had Omar flee to Tahert, today’s Algelia, where he worked as a tailor apprentice. Legend says that an old man from Al-Ándalus visited his workshop, bowed, and prophesied he would lead a great kingdom. On his way back home, in 880, he brought together all the discontent that arose from the taxes that Cordoba imposed on Muslims. He gathered a group of followers and built a fortress in Bobastro from where he had the Cordoban power under control. At first, the Omeyas saw him as a common bandit, but soon they understood he was bound to be much more. Things were going so well for Omar that Cordoba’s Muslim Ruler, Muhammad I, sent a strong troop and Omar surrendered agreeing to enlist together with his men into the Muslim Ruler’s service in 883. Once in service, Ommiad was part of the conquest for the Alava lands. Just two years later he went back to Bobastro and his rebel life, where he gathered his hundreds of Mozarb and Muslims, even Berbers united against the Cordoban aristocracy of Arabic descent. Hafsun came to form an alternative state of the caliphate, an undeveloped state that searched for legitimization of power and foreign recognition. At his best, he came to control the territories of today’s Cadiz, Seville, Cordoba, Jaen, Granada, Almeria, Murcia, and specially Malaga, where he held his headquarters in Bobastro (Ardales), with the ups and downs caused by the continuous fight against the Cordoban powers. When Omar ibn Hafsún becomes a Christian, around 898, he gained the support of the Malaga’s population, mostly Christian, but other followers from other areas turned their backs on him. In 891, Omar ibn Hafsun marched in Cordoba where he was defeated by Abd Allah at the final Battle of Poley (Aguilar de la Frontera). This is where his decadence started. Even so, he managed to stay in power for a few more years, but lost the control of the areas under his direct power or through treaties. In 912, Abderramán III became emirate and decided to pacify al-Ándalus. After the conquest of Ecija, Baza and Salobreña, he attacked Bobastro in an expedition where he was able to conquest over 70 fortresses. The attacks were ongoing up to 917 when Omar ibn Hafsun passes away at the Bobastro Fortress. His children kept the resistance alive up to 928, when his son Suleyman was finally defeated in Bobastro by Abderraman III. Omar inb Hafsun’s body was exhumed. Finding it buried under Christian rite angered Abderraman III even more, so he ordered for his remains to be hung at Cordoba’s wall, where they stayed for years as a punishment for the rebels. Hafsun clan had to go into exile. Omar inb Hafsun’s daughter, Santa Argentea, is known by the Catholic Church as a virgin and martyr. Visit the remains of the mythical Bobastro Fortress, Malaga's most important cave complex of the Ninth Century which got to be the headquarters of an alternative state of the caliphate.